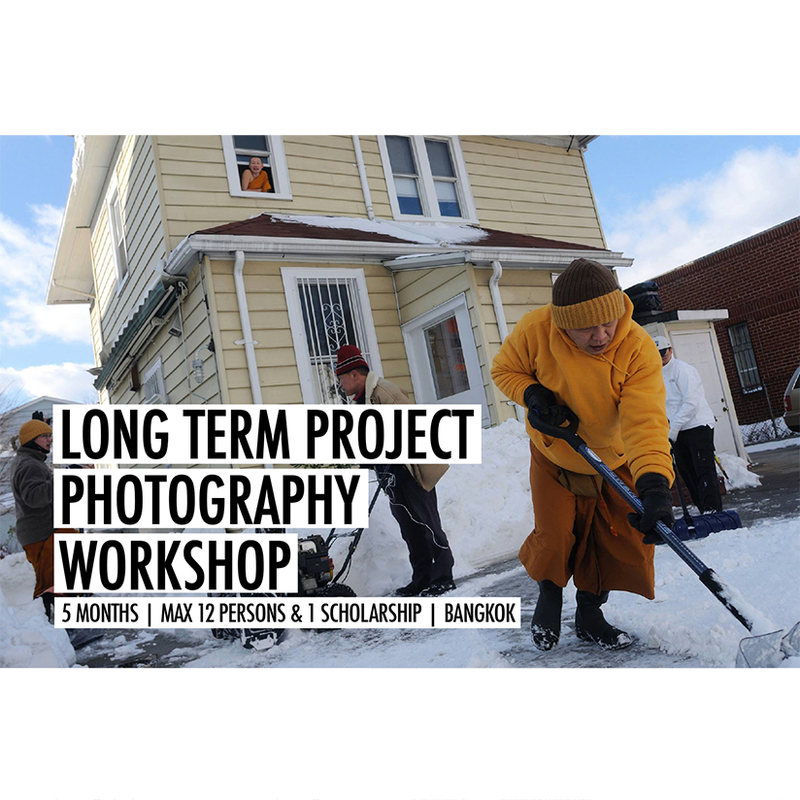 The workshop is designed for curious and innovative photographers who seek for their own visual identity and interested in using photography as narrative and storytelling. Applicants will be working on their own "Long Term Project" that will be guided since the beginning till end. The class will help them ; shaving up and expanding the idea, breaking down shot list, developing project, and sequencing story for the most powerful visual narrative. This intensive and creative educational course designed to help sharpen applicants'abilities with discussion and project review both in group session and one on one session which supported and instructed by expert photographer. What’s in 5 Months ? Portfolio Review ­ Seeking identity through your work. Narrative Photography ­ An idea that photography can be used to tell a story. Scope and Structure story­ Guidance to arrange and scope ideas to interesting contents before shoot. Composition ­ Effective tips for better composition to easy connected. Sequencing Story Photography management techniques to communication. Instructor & Guest Talk Ekkarat Punyatara ­ Main Instructor ,Shape up Idea, Sequencing Story Argus Paul Estabrook ­ Talk and exchange Ideas Vinai Dithajohn ­ Blend in , Story from Red zone , Photography and Human Rights Akkara Naktamna ­ Scope and Structure ideas. Athit Perawongmetha ­ Thinking and Shooting like a Journalist. Lek Kiatsirikajorn ­ Stories of conceptual.